The Family and Medical Leave Act (FMLA) (29 U.S.C. § 2601), entitles certain employees up to 12 weeks of unpaid leave for specified family and medical reasons. This article contains an overview of the FMLA and the Maryland’s Parental Leave Act (MPLA). When can you take leave? You can take up to 12 weeks of leave during any twelve month period for one or more of the following reasons. To care for a spouse, son, daughter or parent with a serious health condition. If you, have a serious health condition that makes you unable to perform the duties of your job. Do you have to take all of the leave at once? You can take leave intermittently when medically necessary to care for yourself or a seriously ill spouse, son, daughter, or parent. You will not lose the unused leave by taking the leave in segments. However, leave for the birth or care of a child can be taken intermittently only with your employer’s approval. Can my employer ask me to switch positions within the company? the position is better suited for taking periodic leave then your regular position. Will I have to use any of my vacation time that I have accrued? If an employer provides paid leave (i.e., vacation, sick leave, or personal leave) to an eligible employee, the employer can require the eligible employee–or the eligible employee may elect– to substitute the paid leave for any part of or all of the period of parental leave. Do I get paid for the time I am on leave? Your employer may not pay you for the time that you are on FMLA leave. Additionally, if your employer provides less than 12 weeks of paid leave (such as vacation, personal leave, etc.) then they are not required to pay you the difference. When do you have to let your boss know that you are taking leave? To take FMLA leave, you must provide your employer with the appropriate notice. If you are planning to take leave due to a birth, or child placement, then you must give your employer 30 days of notice before the leave starts. If the birth or child placement occurs sooner than expected, or will occur in less than 30 days, you will have to give your employers notice as soon as practical. If you need FMLA leave unexpectedly, you must inform your employer as soon as you can. What if both spouses work for the same employer? If you and your spouse are taking leave for the birth, or placement of a child, or in order to take care of a sick parent, then your employer may only allow you and your spouse together a total of 12 weeks of leave. Maryland’s Parental Leave Act (“MPLA”) requires any employer in the State of Maryland that has between 15 to 49 employees to provide eligible employees with 6 weeks of unpaid parental leave benefits for the birth, adoption or foster placement of a child. worked at least 1250 hours during the previous 12 months. The term “eligible employee” does not include independent contractors or someone who is employed at a work site where the employer employs less than 15 employees within 75 miles of the work site. Like the FMLA, you must give your employer 30 days notice before the leave starts. The MPLA makes exceptions to this notice requirement for a premature birth, unexpected adoption, or unexpected foster placements. Like FMLA, if an employer provides paid leave (i.e., vacation, personal leave, or sick leave) to an eligible employee, the employer may require the eligible employee–or the eligible employee may elect to–substitute the paid leave for any part of or all of the period of parental leave. During any period that an eligible employee takes parental leave, an employer must maintain coverage of a group health plan for the duration of the parental leave and in the same manner that coverage would have been provided if the employee had continued in employment continuously for the duration of the parental leave. An employer may recover the premium that the employer paid for maintaining coverage for an eligible employee under a group health plan during the period of parental leave if the employee fails to return to employment with the employer after the period of parental leave to which the employee is entitled has expired. the employer notifies the employee of the denial before the employee begins taking the leave. 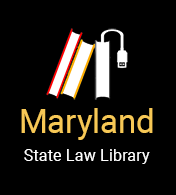 More information about family and medical leave in Maryland is available at http://www.nolo.com/legal-encyclopedia/maryland-family-medical-leave.html.